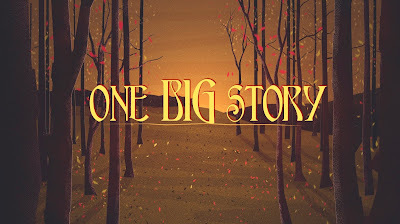 One Big Story - Week 2: "Samson: Strength Beyond Strength"
Did you know that the Bible is One Big Story of God’s love for people who don’t always feel like they deserve God’s love? It's true--it's the best kind of story, to be honest. And God has a way of always picking the wrong kinds of people to do what God needs doing. People who think they aren't good enough, people who the rest of the world thinks aren't good enough--heck, people who really aren't good enough... that's who God seems to love to pick to write God's One Big Story. The Bible is One Big Story filled with heroes and villains, great adventures, epic battles, love stories and astonishing tales. It’s also the story of a “once and future” King who picked the most unlikely people to help him share the story of God’s amazing love, and how far God was willing to go to save the world. 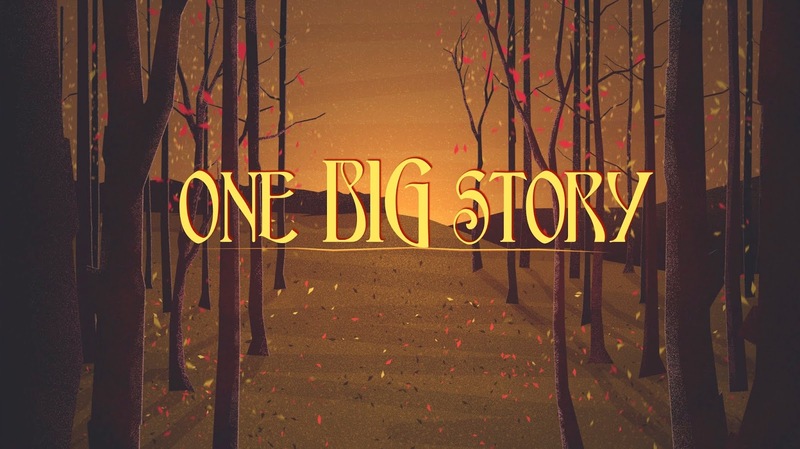 Today we are continuing our summer sermon series, One Big Story. And what we're going to be learning over the course of this summer is one very simple fact: "God can use you you no matter what." You might think that you aren't good enough to be used by God... You might think you're too old, too young, too busy, too messed up, too much of a sinner... but God doesn't care about that. God loves you and wants to use you no matter what. We'll be encountering some of the great characters in Scripture along the way---characters that undoubtedly dominated many a Sunday school class for some of us church-y types. This week we're going to be encountering one of the great, dramatic characters in the Old Testament: Samson. The story of Samson encompasses Judges chapters 13-16, which I will leave for you to read on your own---and I encourage you to do just that because it's awesome reading. Even if you don't know the whole story of Samson, you probably know that it is about a guy who was really, really strong---because the name Samson has become synonymous with strength. People name their Great Danes Samson, for example. Or they might say, "he has a Samson-like physique," which is a comment I hear more often than I would like to say. Actually, I can't back that up at all. But I like to think it. God doesn't give up on you, no matter what mistakes you've made. I'm going to do all of us a solid today and I'm not going to read all three of the chapters in the Old Testament that contain Samson's story. You're welcome. But I am going to summarize the story--retell it if you will. First and foremost, the story of Samson begins prior to his birth with yet another ominous line: "The Israelites did evil in the sight of the Lord." As we learned last week when we studied the story of Gideon, this was shorthand for "The Israelites began worshipping other gods other than Yahweh." And in this particular story, we might also say that the "Israelites began to intermarry with pagans in opposition to their covenant with God." Naturally, when the people of Israel began to do evil in the sight of the Lord, bad things started happening to them. In the time of Gideon, the tribal group that made life miserable for Israel was a tribe called the Midianites. At the time that Samson is about to enter the scene, the tribal group harassing Israel were known as the Philistines. In fact, the people of Israel were largely under Philistine rule at this point in their history, so things had gotten pretty rotten. They were a tribe who originated from the coastal regions of the Aegean Sea, who grew and expanded their influence through Viking-like raids and incursions into what is now Israel. They made attempts to conquer Egypt but were repelled and settled on the coast. Their southernmost city was Gaza, which is still a city to this day, and they made their way as far inland as Megidoo, which is on the plains of Jezreel, some of the most fertile land in all of Israel and the site of many historic battles throughout history. Control of Megiddo meant that they controlled the pass through the coastal mountain ranges of Israel as well as access to the land trade routes that passed through them from Egypt and into the rest of the Middle East. The Philistines worshipped (among others) the god Dagon, which is often depicted as half man and half fish---although there doesn't seem to be a lot of contemporary depictions to verify if that was indeed how the Philistines imagined him. Dagon, like many gods of the ancient world, demanded steep sacrifices, including child sacrifice for fertility and for the harvest. In the ancient Near East, when you conquered a tribe, it was like saying that your god was tougher than their god. It reminds me of that sarcastic bumper sticker that reads, "My Middle Schooler beat Up Your Honor Student." I don't know why it reminds me of that, but it does. So, it's easy to see why the people of Israel might have decided to double down on the whole pagan god worshipping thing---after all, on the surface it seemed as though Yahweh had been beaten and abandoned them. But of course, he hadn't. God once again raised up a champion to rescue his people in Samson, the last Judge. Samson's birth narrative is miraculous. He is born to childless parents: an unnamed mother and a man named Manoah. An angel appears first to his mother, and announces the birth of Samson and then again to his father when Manoah doesn't believe that his wife is telling the truth. Like Gideon, Manoah declares that he's going to prepare some food, which is a symbol of a kind of test that the God who is delivering the message truly is who He says He is. The angel sets the food offering on fire and then in an amazing scene actually ascends to heaven in the flames, which freaks out Manoah and affirms that the birth announcement is legit. Before going all Oz the Great and Terrible on them, the angel tells them that their son will be a Nazirite and will be dedicated to God. This is some serious stuff when you think about it. Rabbi Stensaltz who wrote extensively about this passage declares that "even Moses, Samuel, David didn't get this kind of announcement." So what is a "Nazirite?" The word actually means "separated ones," and people who took Nazirite vows were not allowed to drink wine, touch dead carcasses or get their hair cut. In the ancient world, things like hair and blood were seen as part of a person's life essence and were imbued with mystical meaning from time to time. At any rate, despite whatever mystical implications a Nazirite vow might have had in the ancient world, long hair and ascetic behavior were signs that the person who took the vow was serious about their covenant with God. So what's going on with this story? Even people who don't know that much about Samson's life, know that he wasn't exactly a choir boy, and was even less of a hero in the strictest sense of the word. In fact, this guy was the worst example of a judge in the whole book of Judges. He doesn't lead an army, works all by himself with no help or community. He breaks every covenant and vow that he makes. AND he fools around with foreign women. Sort of sounds like Israel itself, doesn't it? Hmmmm. Samson starts off his life filled with talent, promise, strength and power... As we'll find out, he ends up blind, humiliated, scorned and seemingly abandoned. The seventeenth-century poet John Milton has Samson wonder aloud about the contradictions of his story: "Why was breeding ordered and prescribed as of a person separate to God, Designed for great exploits; if I must die Betrayed, captive, and both my eyes put out?" Here's the thing, the story of Samson helps us to realize a pretty important truth: Your future depends entirely on God's strength and not your own." On his way to see this girl that he had the hots for, Samson is attacked by a "young lion," and (as it says in the text) the Spirit of the Lord comes upon him and he gets extremely "swole" (a Hebrew term for pumped up---not really) and kills the thing with his bare hands. Later, on his way back through there, he purposefully goes out of his way to see the carcass of the lion, presumably to remind himself of how awesome he is. This is the second violation of his covenantal vows as a Jew and a Nazarite--the first being his desire of a foreign wife. He discovers that the carcass of the lion has now become a home for a hive of bees and that they have made honey, which is what bees do. Samson takes a hunk of the honeycomb out and eats it, taking the whole touching a dead carcass thing to a whole new level. Jump to his wedding with the Philistine girl. Samson throws a challenge down to the thirty Philistine groomsmen who are in the wedding party. He offers them a bet: solve his riddle or owe him a suit of clothes each. They take the bet and he offers them this riddle: "Out of the eater came forth meat and out of the strong came forth sweetness." The groomsmen cannot figure out the riddle and begin threatening Samson's wife-to-be, telling her that if she doesn't get Samson to tell her the answer to the riddle that they will kill her and her family. She begins working on Samson something fierce, begging him and finally weeping around him until he can't take it anymore and tells her the answer: A lion and honey. When the groomsmen tell him the answer to the riddle, he knows that he has been had. He says to the men, "If you had not plowed with my heifer, you would not have solved my riddle." Granted, this is not the most flattering thing to say about the woman he is going to marry, but it has a deeper meaning. Samson mistakenly thinks that his wife has been fooling around on him with one or more of the men. To pay up the bet he journeys all the way down to the coast and a city called Ashkelon where he kills thirty dudes takes their clothes and returns. Meanwhile, his wife-to-be is actually given to the best man of the wedding to be his wife, not Samson's. When he shows up at his father-in-law's house, Samson is told the sad news and is offered the younger daughter in marriage instead. In retaliation, Samson catches a bunch of foxes, ties two at a time together and lights their tails on fire before releasing them into the fields of the Philistines. Skip to Samson visiting a Philistine prostitute in the city of Gaza. The Philistines find out that he is there and plan on taking him out in the middle of the night. Samson heads for the gates of the city and rips the huge wooden doors along with the enormous doorpost out of the stone walls of the gate then carries them off on to a hill outside the city, leaving it defenseless. Skip to Samson falling in love with Delilah, who we are not told is either Philistine or Israelite. Her name actually means "flirtatious," and she lives up to her name. After it's known that she and Samson are hooking up at her place, the Philistines in the area come to her and offer her rewards for finding out the secret for his crazy strength. Naturally, because she's Delilah, she agrees and commences to using all of her wiles to figure it out. Samson plays her, giving her false information (bind me with new ropes, tie my hair up in a weave) and each time she follows his instructions, lets the Philistines in and then wakes him up, and each time he wakes up strong and busts some Philistine head. Finally, she starts crying and whining, which we already know works pretty well on Samson, and he tells her. She shaves his head, lets in the Philistines and then wakes him up. Only this time, when he wakes up, his strength is gone because the last bit of his covenant is violated. They gouge out his eyes, and then set him to work grinding grain, which was woman's work [ladies don't hate the messenger]. Skip to a huge party in the temple of Dagon. Someone remembers that Samson is blind and grinding grain somewhere nearby and they think it would be a great idea to bring him out for their amusement. They make him dance a bit like a trained monkey, but what they don't know is that his hair has been growing back and that his heart has finally been broken. He asks the person leading him to lean him up against one of the pillars that are holding up the roof of the temple. 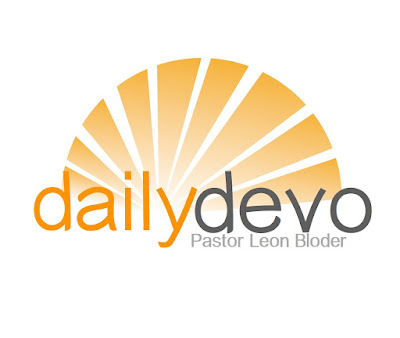 He heaves himself on the pillars after praying that God would give him strength and let him "die with the Philistines." Everyone in the temple dies, including Samson. I know. When you relate the whole story, it doesn't end all that well, does it? But there is so much truth embedded in this dramatic moment. The fact that he ended up doing something so sacrificially heroic was a noble and pure ending to the ancient readers of Samson's story. But, come to think of it, we know that kind of story as well. Think about all of the movies that you've seen or stories you've read where the flawed hero sacrificed himself or herself for a greater purpose, or to rescue someone else. And there's also this: When Samson reaches the end of his rope and slams up against his dependence on God that he comes to the realization of his need for God. AND more importantly, he is reminded that God never gave up on him, no matter what mistakes he made. Whether you know it or not, you have all the strength you need to accomplish what God has called you to do. Some of us struggle to believe this. We don't feel at all like a Samson. 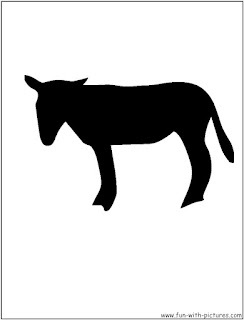 In fact, we feel more like the jawbone of the donkey that he used and then cast aside. The Apostle Paul wrote that in our weakness we are made strong in God's strength, not our own. So regardless of how you perceive you, God perceives even your weaknesses as strengths. God can use your mistakes, blunders, and bad decisions for His glory. I know this far too well. Heck, we all know this all too well. The story of Samson demonstrates that despite our willfulness, selfishness and the fact that some of us are bent on self-destruction, God can take all that brokenness and create something beautiful. I can't tell you how many times in my life, I have looked down at my broken dreams, the shards of my mistakes and wonder aloud if anything can be put back together from it. God is in the business of taking those broken shards, those shattered pieces and putting them back together in ways that defy our imagination. God never loses faith in you, regardless of how faithless you've been. I remember I was a retreat once where we were asked to relate the story of our life in under an hour. 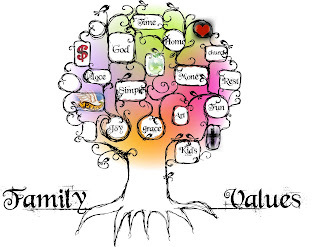 I went through the tale, indicating at some point that had I lost my faith for many years, regaining it only when I married my wife and re-discovered the importance of a faith community. I had done dumb things, lived outside of the covenant that a Christian should live if they want to follow Jesus. I had acted as selfishly as a person could act, and self-destructive to boot. I shared all of this and sat down. The instructor was quiet for a moment and then said, "You say that you lost your faith... I don't think you ever lost it. I think you just hid it from yourself." She was right, of course. I had thought God had forgotten me, I wanted to believe it, in fact, because of how I felt about myself. But God hadn't forgotten me, and I never really stopped believing in Him. Here's the catch to all of this. None of it will ever make any sense to you---will never feel true and right until you realize that you can accomplish nothing on your own strength---at least for very long. Try as you might, you will never be able to overcome your past, let go of your mistakes until you embrace the idea that God doesn't care about any of those things. Don't wait until it's too late to figure this out. The moral of this story for the people of Israel was that God was always faithful, and God loved them deeply. They were beloved in spite of their betrayal of God's grace. God was always finding them in their brokenness and rescuing them. But because they didn't fully embrace the truth of who they were in God, it cost them--just like it cost Samson. He found redemption, to be sure, but only after a tremendous loss. Make today the day that you give up struggling to do this thing called life on your own. Let God, and more specifically, let God through his Son Jesus be your strength. Know that you are loved, and God's strength is the only strength you will need despite your brokenness, mistakes and missteps. Because God doesn't give up on you, no matter what mistakes you've made.